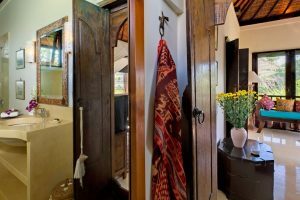 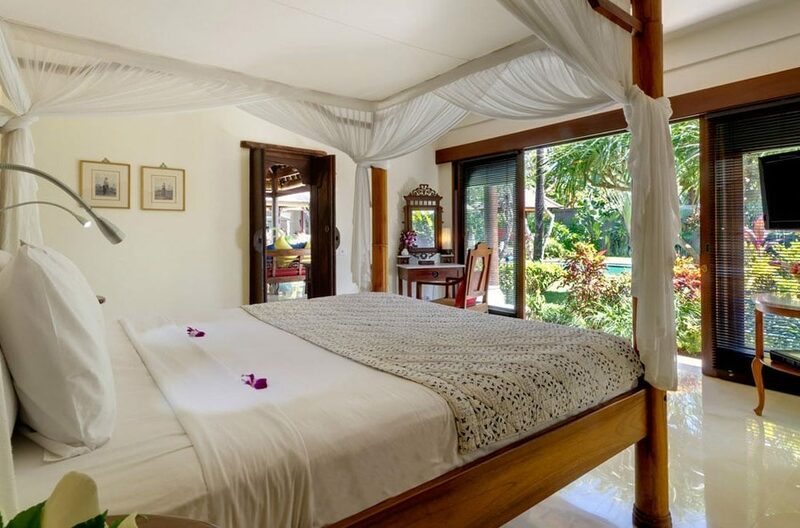 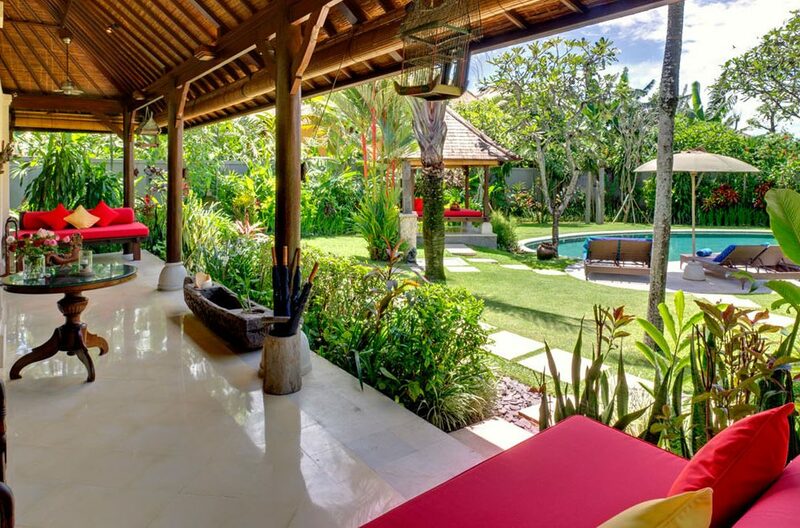 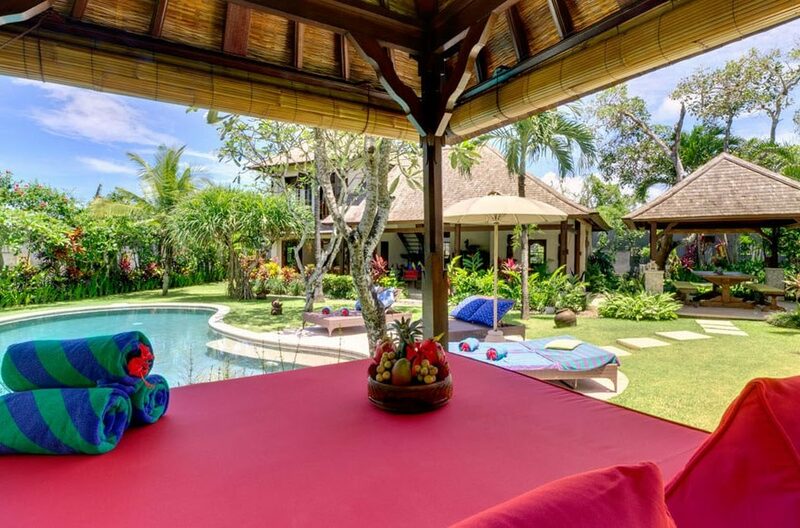 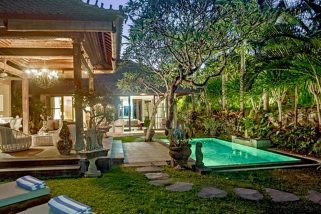 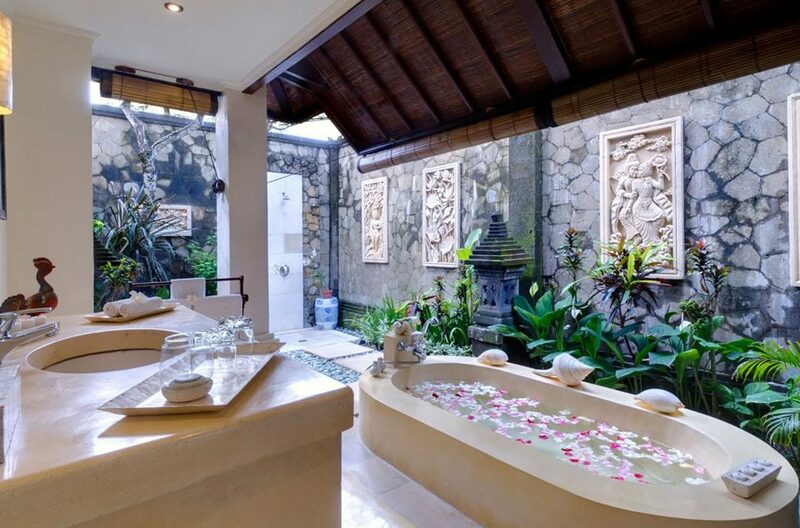 A mere 100mtrs from Canggu Beach and bordered by rice terraces, Villa Kakatua is an escape from the hustle and bustle of Seminyak, Legian and Kuta. 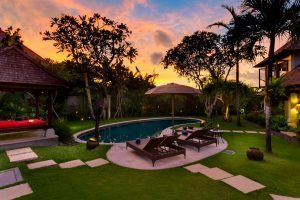 This villa is ideal for families offering tranquility and catering for childrens needs by providing high chairs, baby cots and toddler-safe cutlery to pool fencing and swimming aids. 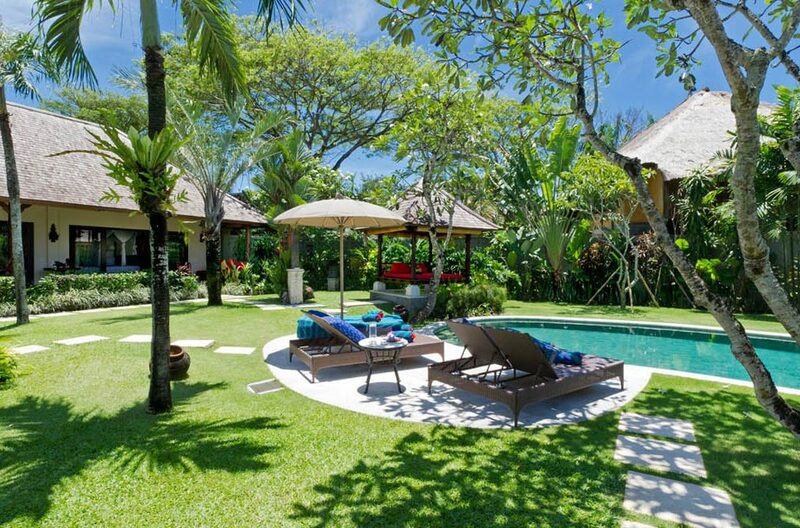 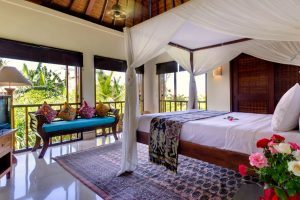 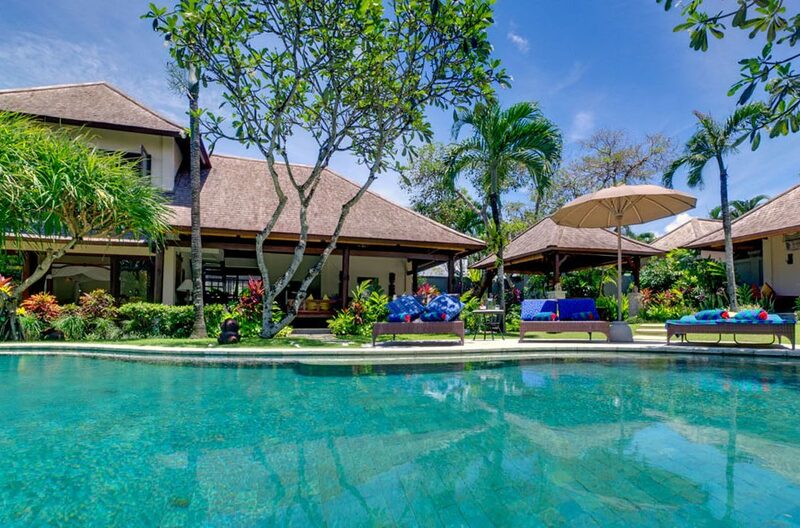 Villa Kakatua can be booked in conjunction with Villa Kedidi to accommodate up to 16 guests. 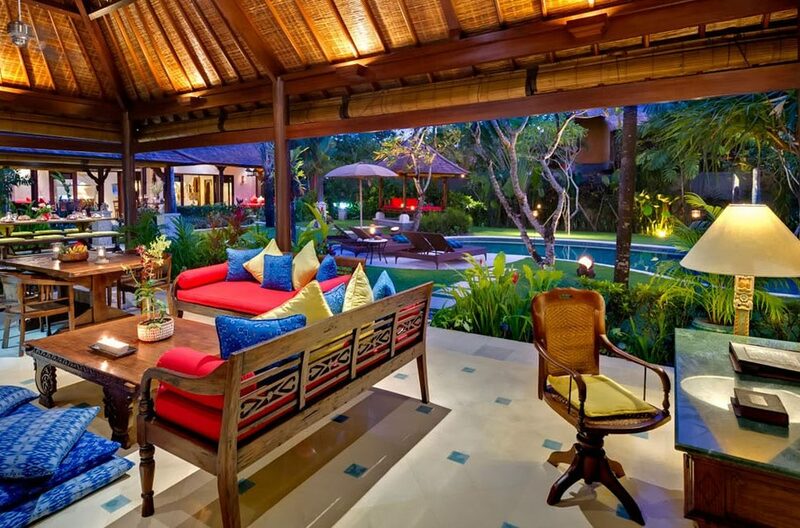 The main living/dining area is open-air and features authentic Indonesian artefacts and a selection of antiques. 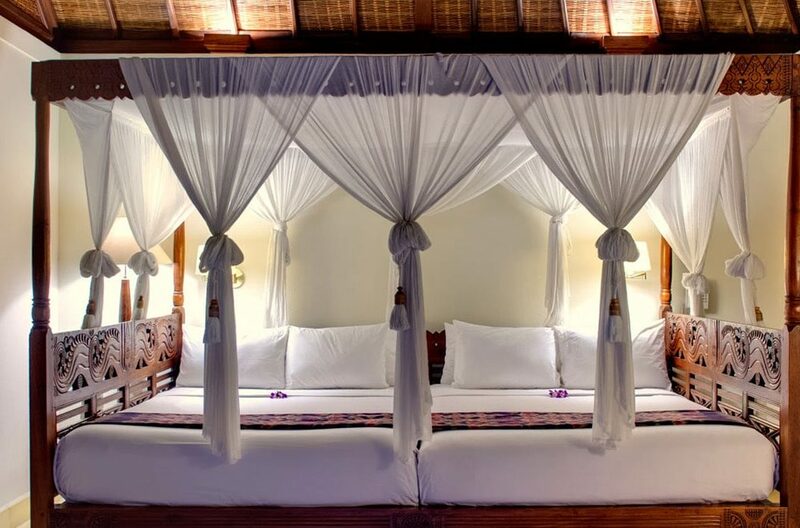 Two custom built sofas and ceiling fans give guests a place to relax as cooling breezes tickle the senses. 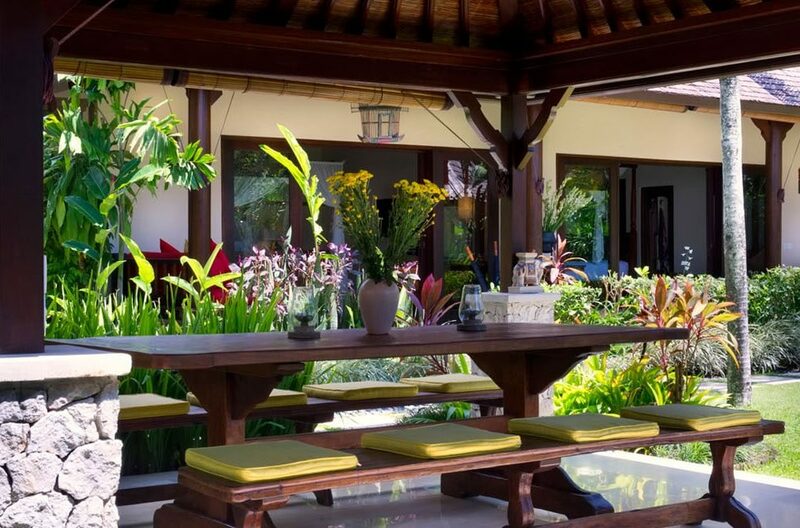 A breakfast table at the other end of the room provides seating for four guests. 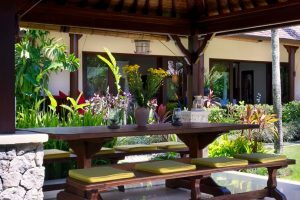 The modern kitchen is fully equipped and a seperate dining space features a large wooden dining table with bench seats. 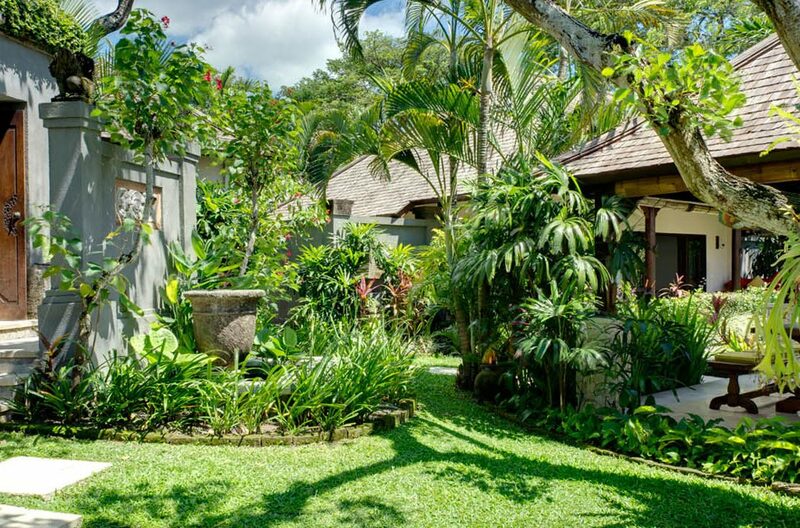 Outside the salt water pool is embraced by lush tropical gardens and a well manicured lawn. Four bedrooms comfortably accomodate 8 guests. 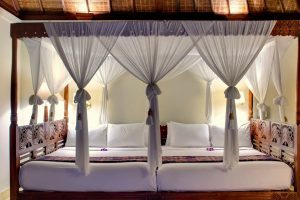 Three king size bedrooms and another room providing quad sleeping capacity can increase capacity to cater for 10 guests. All bedrooms are air-conditioned with cooling terrazzo floors, ceiling fans and entertainment via iPod docks and TV/DVD players. 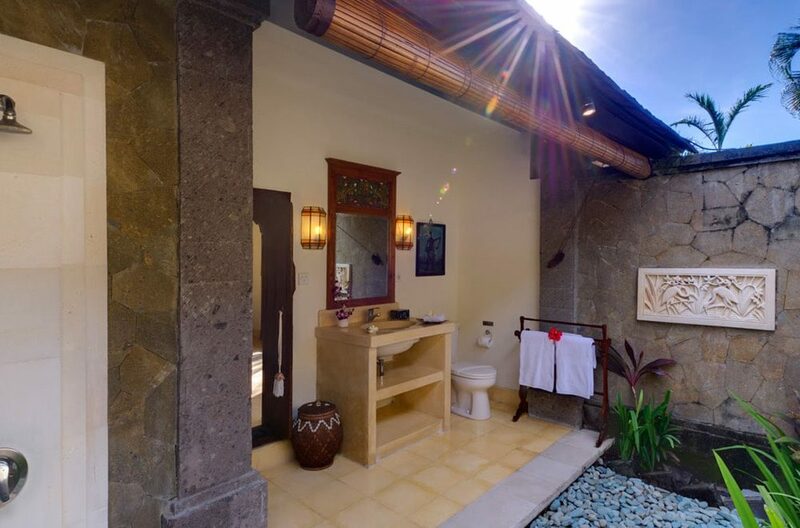 Open-air showers add a tropical twist to the bathrooms. Housekeeping and villa maintenance are pleased to serve and maintain a well-run household providing support delivered with grace and tradition. 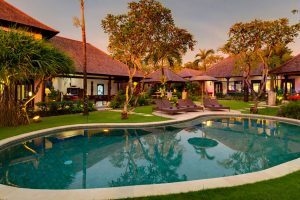 The villa manager and team are more than happy to address any questions or enquiries guests may have in order to ensure your stay with us as smooth and enjoyable as possible. 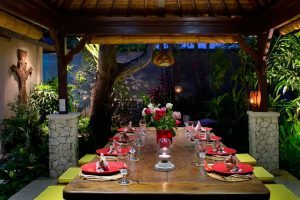 The famous Echo Beach –has a great seafood barbecue and sunset surfing. 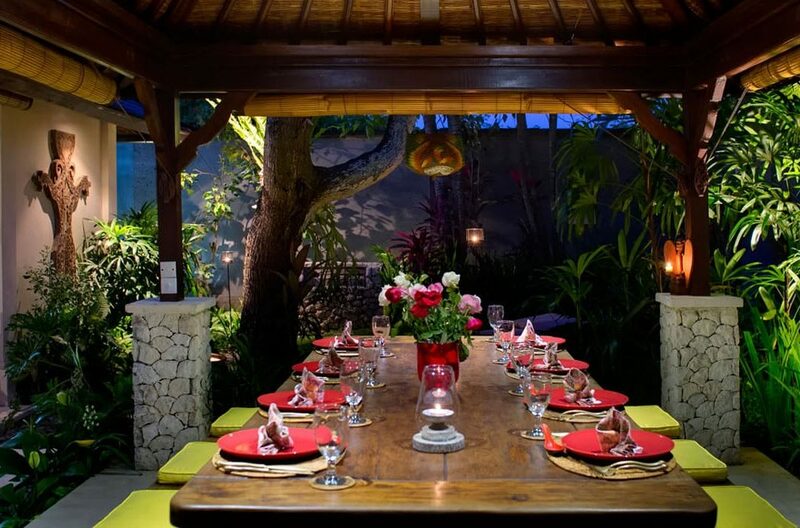 Seminyak with its fine dining, funky clubs and chic shopping is 20 minutes south. 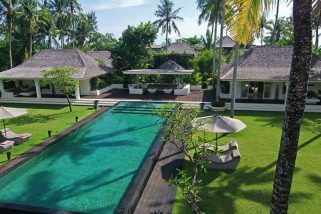 Just next door is the Greg Norman designed Nirwana Golf Club. 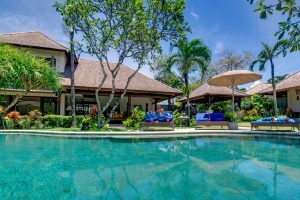 Villa Avalon Two is an exquisite 2-bedroom property situated in the stunning Avalon estate that spans half an acre. 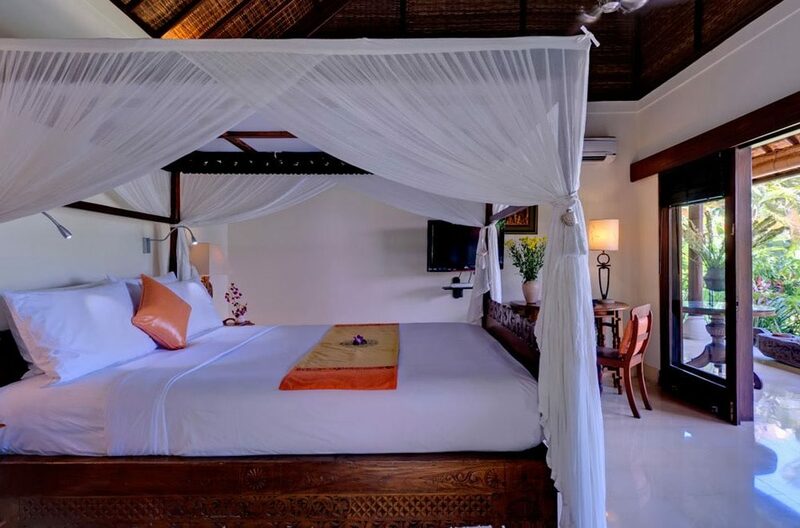 It was designed by internationally famed architect Popo Danes and is perfect for honeymooning couples looking for an exotic, private setting.